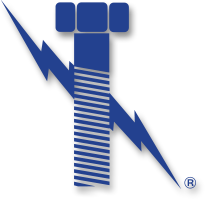 ASTM A-193 Grade B7 Studs – IN-STOCK – Available for IMMEDIATE shipping… Lightning Bolt is North America’s leading manufacturer and supplier of Domestic and Imported B7 studs. As an ISO 9001:2008 certified manufacturer, we supply ASTM A-193 grade B7 stud bolts to industrial projects all over the world. According to specifications, the type of nut that is to be mated with a B7 stud is an A-194 Grade 2H Heavy Hex Nut. 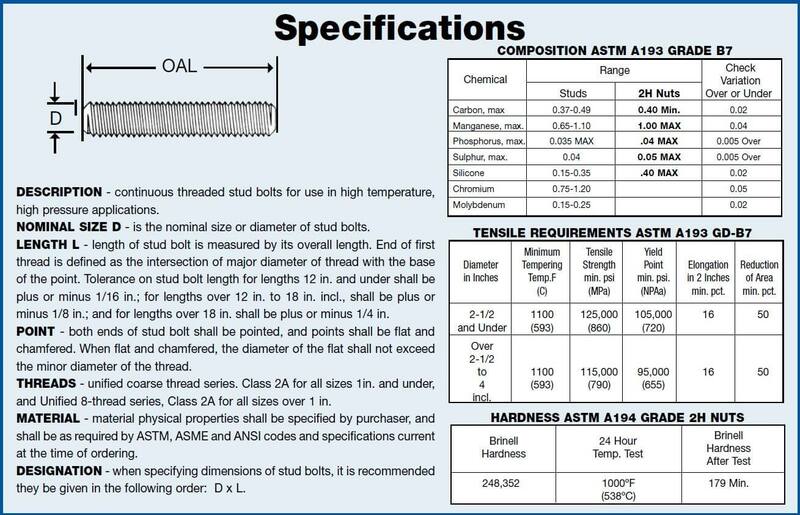 Click here for more technical information about ASTM A193 B7 Studs. Known for their adequate strength while being commercially available, B-7 studs are extremely popular when flanging together pipe and valves. Please note that we carry A-193 threaded bar up to 6″ in diameter. In addition, we carry grade b7 studs in metric sizes too. Due to the extreme resistance to corrosion that fluropolmer coatings offer, we are starting to see more jobs that are requiring teflon blue B-7 studs, which many still refer to as “PTFE studs“. If you are looking for B7 cap screws, and even teflon blue B7 cap screws, you are in luck… Lightning Bolt has one of the largest known inventories of PTFE B7 Cap Screws.